When the Atlantic building at 930 F Street NW was completed in 1888, it was on the cutting edge. Designed by James Hill Green, the supervising architect of the U.S. Treasury Department, its eight stories made it the biggest commercial structure in the District and one of the first to feature a passenger elevator. Inside, the Atlantic Building had two big assembly rooms, which made it the location of many important public meetings, including one in 1889 at which the National Zoo was founded. In 1890, the top floor served as the headquarters for President Benjamin Harrison's inaugural committee. The Washington Post hailed it as a "handsome" building. In the decades that followed, the Atlantic — one of the last tall structures in the city to be built with only masonry walls, rather than a steel inner frame — gradually was overshadowed by newer, flashier modern buildings, and it became a largely-forgotten bit of the District's architectural history. 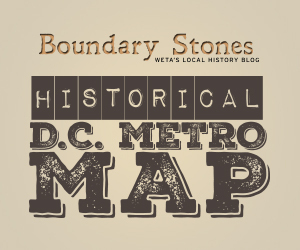 That is, until the 1980s, when the building achieved a different sort of notoriety as the the epicenter of the District's alternative music scene.